This was a favourite when I visited the local Taiwanese restaurant as a kid. I’d usually order the beef and my brother would have the chicken. When they brought it out, the food would be sitting under a metal dish cover on a black cast-iron plate. The server would take the lid off to reveal a sizzling hot and fragrant dish (like the Japanese-style teppanyaki). It was served with noodles, extremely saucy, onions and peppers, and a raw egg cracked onto the hot plate to cook just before eating. Later, as a student, I made this dish without the peppers (too expensive for my budget), placed a pre-fried egg on top of the onion and beef mixture, and ate it with rice. Not exactly the same, but the flavour is all there. Mix the soy sauce, sugar, 2 tbsp water and cornflour to make a marinade. Add the beef strips, work the marinade into the meat and leave it in the fridge for at least half an hour. Slice the onions into chunks. Melt the butter in a wok (or frying pan) on a low heat, and cook the onions until slightly translucent. Add the oil to the marinated beef and mix it in. Turn the heat up in the wok and stir-fry the meat, adding pepper and more soy sauce to taste. 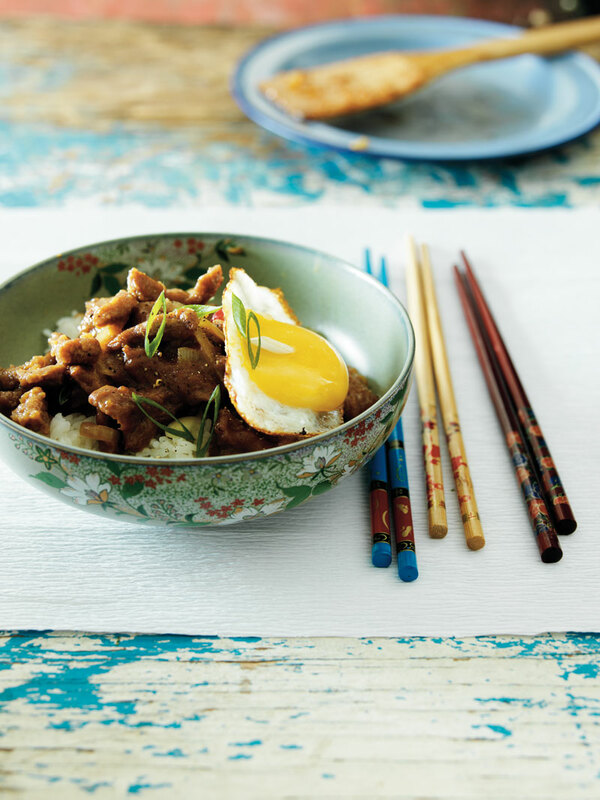 Serve with rice and a fried egg. Tip: This works just as well with chicken, lamb, seafood or silken tofu as alternative proteins. You can also add green or red peppers, and serve with stir-fried egg noodles instead. 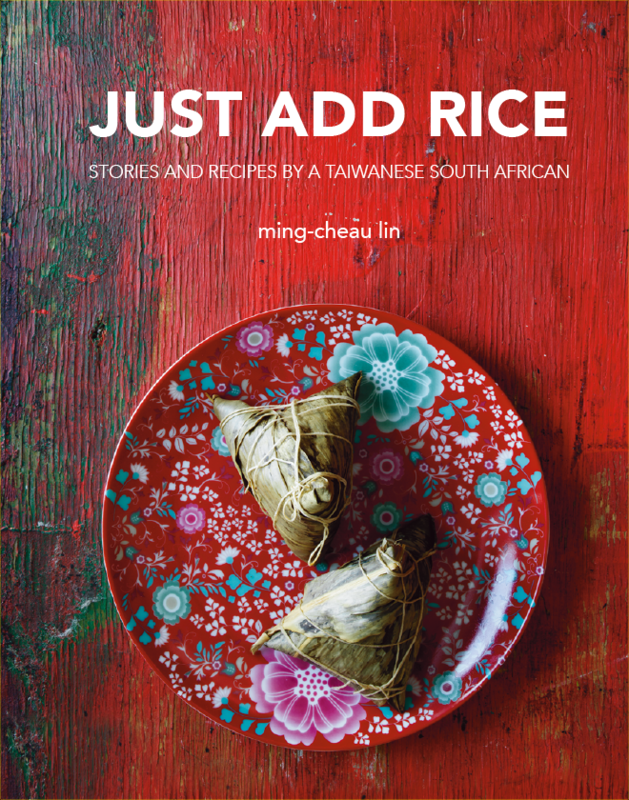 Ming-Cheau Lin was born in Tainan, Taiwan and immigrated to South Africa when she was three years old in the early 90s, growing up in Bloemfontein. Now based in Cape Town, she is a freelance copywriter and runs a food blog butterfingers.co.za as a platform to share insights into Taiwanese culture through recipes and stories – her work has been featured in local food, lifestyle and opinion spaces, and won a Getaway Blog Award in 2012. She’s a social activist – offering talks on embracing empowerment as a woman of colour, being mindful in a multicultural environment with a focus on the harms of cultural appropriation and stereotyping. She also has an international City & Guilds diploma in patisserie and worked for the late master of preserving Oded Schwartz at Oded’s Kitchen (in the kitchen, at food markets, admin and marketing). Ming-Cheau has a BA in creative brand communications, specialising in copywriting and has worked in well-known advertising agencies as a copywriter for seven years. She also co-founded, volunteered and skated for the Cape Town Rollergirls NPO (a women’s roller derby league) as its Marketing and PR Chair for four years till early 2016.